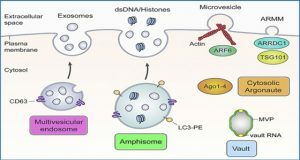 Owing to the role of exosome as a cargo for intercellular communication, especially in cancer metastasis, the evidence has been consistently accumulated that exosomes can be used as a non-invasive indicator of cancer. 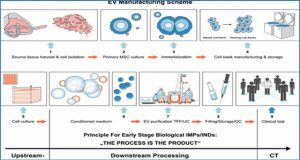 Consequently, several studies applying exosome have been proposed for cancer diagnostic methods such as ELISA assay. 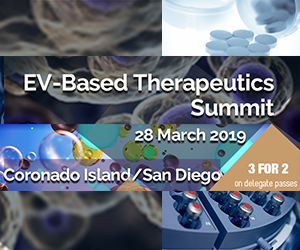 However, it has been still challenging to get reliable results due to the requirement of a labeling process and high concentration of exosome. 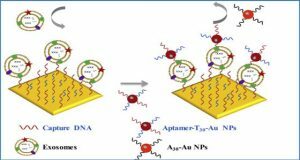 Here, researchers from Korea University demonstrate a label-free and highly sensitive classification method of exosome by combining surface enhanced Raman scattering (SERS) and statistical pattern analysis. 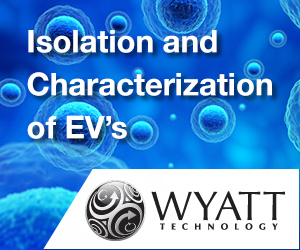 Unlike the conventional method to read different peak positions and amplitudes of spectrum, whole SERS spectra of exosomes were analyzed by principal component analysis (PCA). 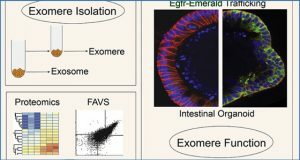 By employing this pattern analysis, lung cancer cell derived exosomes were clearly distinguished from normal cell derived exosomes by 95.3% sensitivity and 97.3% specificity. Moreover, by analyzing the PCA result, we could suggest that this difference was induced by 11 different points in SERS signals from lung cancer cell derived exosomes. 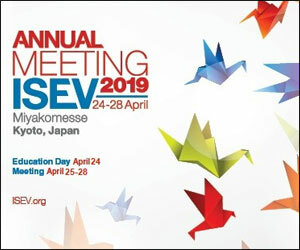 This result paved the way of new real-time diagnosis and classification of lung cancer by exosome as a cancer marker. 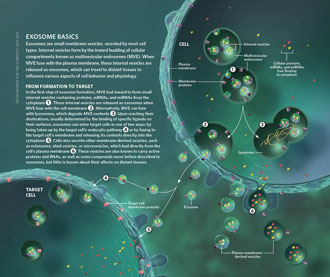 (a, b) Lung cancer cell and normal cell releases exosomes to the extracellular environment having their own profiles by fusing multivesicular endosomes to plasma membrane respectively. 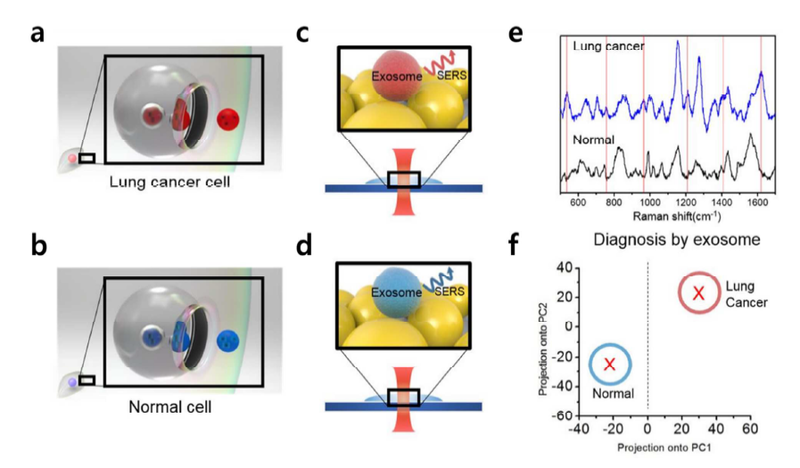 (c, d) Raman spectrum of lung cancer cell and normal cell derived exosomes was achieved by SERS respectively. (e) SERS spectra achieved by (c) and (d) are shown. Red lines indicate specific peaks of lung cancer derived exosomes. 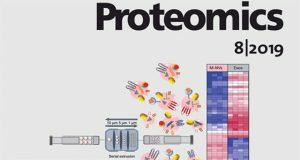 (f) Exosome classification is done by PCA of SERS spectra. 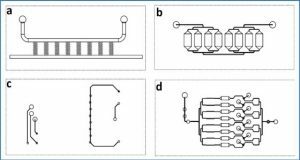 Identifying the origin of exosome is done by checking the location of the plotted x-shaped dot. 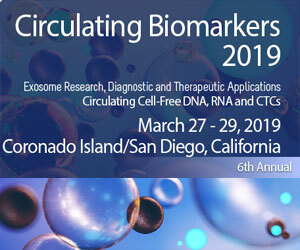 Dot plotted inside of the red circle indicates lung cancer cell derived exosome and dot plotted inside of the blue circle indicates normal cell derived exosome.